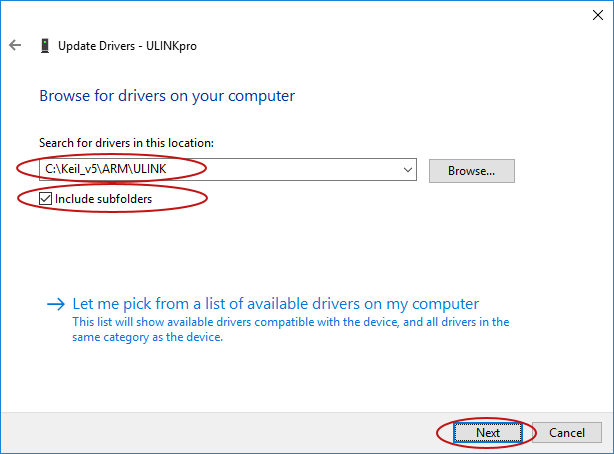 When the ULINKpro driver installation failed, the Device Manager either shows ULINKpro under Other Devices or under Universal Serial Bus Controllers with a yellow exclamation mark icon. 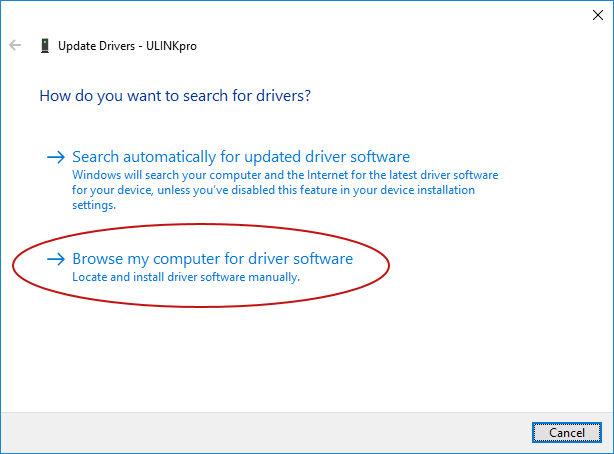 In this case right-click to ULINKpro and select Update driver. In the next window, select Browse my computer for driver software. Select the ..\ARM\ULINK folder of your MDK installation path, enable Include subfolders, and click on Next. When installed successfully, a confirmation screen is displayed. 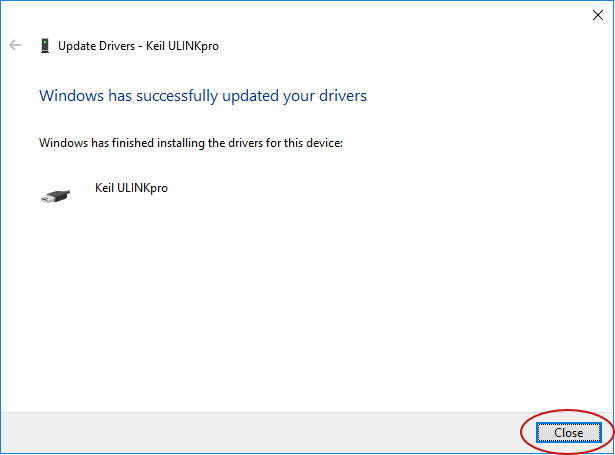 If this manual driver installation fails, contact the Keil Support Team as described here. 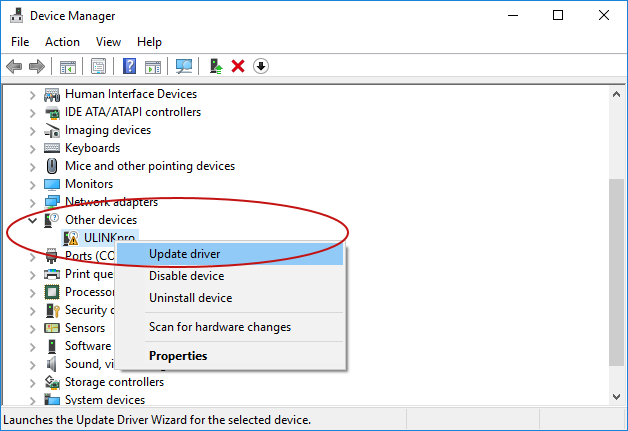 Administrator rights are needed to install the driver software.